I abandoned the Packers but made sure to stick with the Brewers and Bucks. Just some truly terrible decision making. 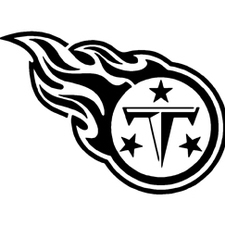 I'd truly feel bad for you if you weren't a Titans fan. Oh. Forgot to mention I got my BCB package this past week. The shirt is incredible. Back about 6-7 years ago I thought about it just because the Jags are so far away and it'd be more convenient to be able to follow someone you could watch every weekend on cable/go see a game live. But nope, Jaguars forever. I really don't know how people can switch teams honestly. Once I get a team it's not changing. I'm fighting the urge...so I assume it's worth it? Wish they had a branch somewhere close to Iowa. I'm fighting the urge...so I assume it's very worth it? Wish they had a branch somewhere close to Iowa. Shirt is gorgeous. There's no membership in Chicago either, at least not at the moment. But you do get a discount on purchases at Fanatics. But I think the look of the shirt alone is worth it. Got ya. It looks great. Think I'm going to have to bite the bullet and just do it. How long does it take to get here if I were to sign up in next couple days? 2-3 weeks? Depends on the shipping. They order and then ship them in batches because they don't have enough to get inventory, so it's a matter of when they get enough orders to place a batch order. Shouldn't be more than 3 weeks though. Oh ok. That's not too bad. As long as I get it before the season gets going I'll be good. Yeah, that should be no problem. Best off topic thread on the forum. So how are you liking the new forum so far? I'd say the forum is a definite upgrade. Just a lot more easy and user friendly imo.